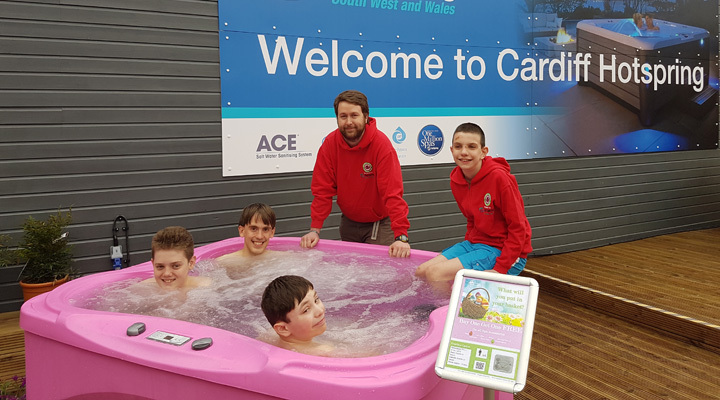 We are pleased to announce that Cardiff Hotsprings based in Wyevale Garden Centre is now open! As an authorised dealer for HotSpring Spas, Cardiff Hot Tubs is proud to offer you the World’s Number One bestselling Brand in Hot Tubs. 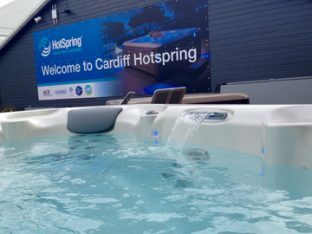 A visit to our Hot Tubs Cardiff Showroom will allow you to experience exactly why a HotSpring Spa delivers the absolute best lifetime hot tub experience. Whether you would like to enjoy a free test soak, a home consultation or simply browse our Showroom to view our variety of spa models and accessories we provide, our professionally trained Spa Experts will be on hand to answer all your questions and help guide you to the perfect hot tub for your personal lifestyle. Try before you buy and test our water! We understand how important it is to find the right Hot Tub for you and the best way to determine this is to experience this for yourself. Here, at Cardiff HotSpring we offer the opportunity to schedule a Free Private Test Soak for you and your family. 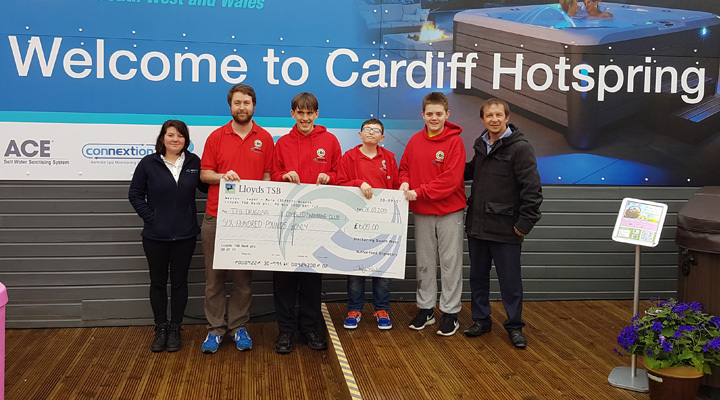 Our Cardiff Showroom sponsors The Dragons Disabled Swimming Club, one of the leading disabled swimming clubs in Wales. They have been running since 1993 and have produced swimmers who have gone on to represent Wales and Britain at National, World and Paralympic level. Some swimmers to have come through the ranks at the Dragons include one of their coaches and 11 times Paralympic Gold medallist David Roberts CBE, Paralympic Gold medallists Gareth Duke, Liz Johnson and Nyree Lewis, and Paralympic medallist Rhiannon Henry.